Fundamentals in High School mathematics are the focus here along with a stress on the usability of the subject data in real-world applications. Algebra I is the initial level of mathematics required in High School. (A firm foundation in Pre-Algebra is required and remedial study is done prior to Algebra I if needed.) Students will not only gain a thorough understanding of basic algebraic concepts and nomenclature but will become adept at practical application of these concepts in a variety of settings. 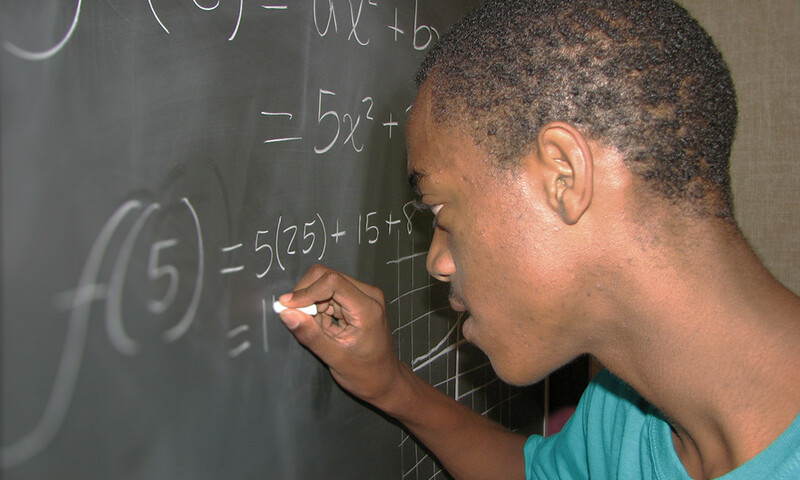 Algebra II allows students to gain a more advanced understanding of algebraic concepts and applications, including more complex systems of linear equations and inequalities, quadratic equations, translation between functions of conic sections and their graphs, complex numbers, exponential and logarithmic functions, rational algebraic functions and irrational algebraic functions. Geometry covers both plane and solid geometry, with an emphasis on an ability to use the data to solve real-world situations and problems. Students address the nomenclature, measurements of area and volume of 2D and 3D shapes, construction, proofs of fundamental principles, three-view drawings and calculating curved surfaces. Students interested in pursuing a career in any of the math or science fields are encouraged to take Trigonometry. In this course, students will achieve a practical understanding of the properties of trigonometric and circular functions, periodic functions, vectors and an ability to apply the previous to real-world situations. Students interested in pursuing a career in any of the math and science fields are encouraged to take Calculus. In this course, students address the fundamental nomenclature, the theory of differential and integral calculus and an ability to apply these to solving practical problems. Delphi’s computer and Audio/Visual labs provide students with a wide array of technology resources for use on classroom and project activities. There are over 50 computers available for students to use throughout the campus, as well as a range of audio and video equipment for multimedia projects. All students learn basic computer usage, as well as word processing and spreadsheet applications. In addition, they become proficient at effectively researching on the Internet through the school’s high-speed T1 connection.